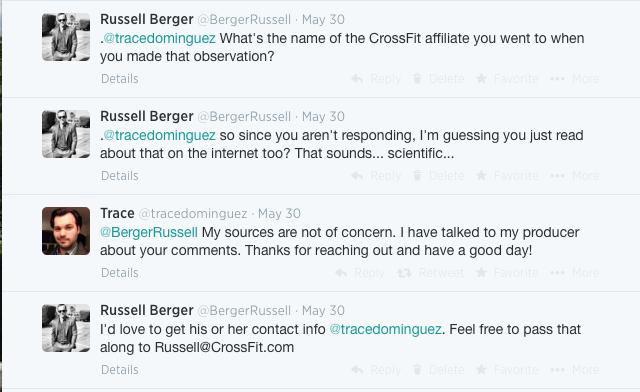 After watching this episode of Discovery News that featured CrossFit, we attempted to contact the host (@tracedominguez) on Twitter to try to correct a number of errors and inaccuracies in the show. 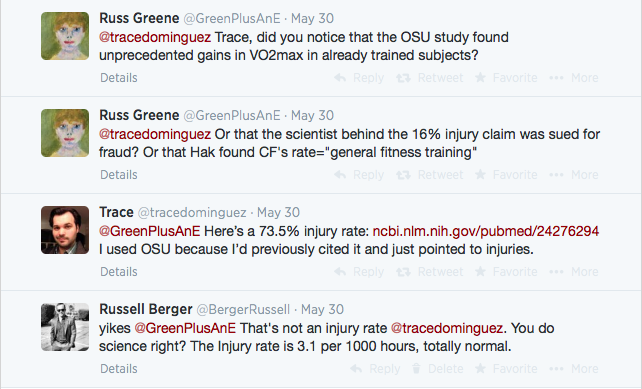 Trace did not attempt to defend the fraudulent OSU study that he cited, but he did attempt to argue that CrossFit has a high injury rate, and cited this study as evidence. 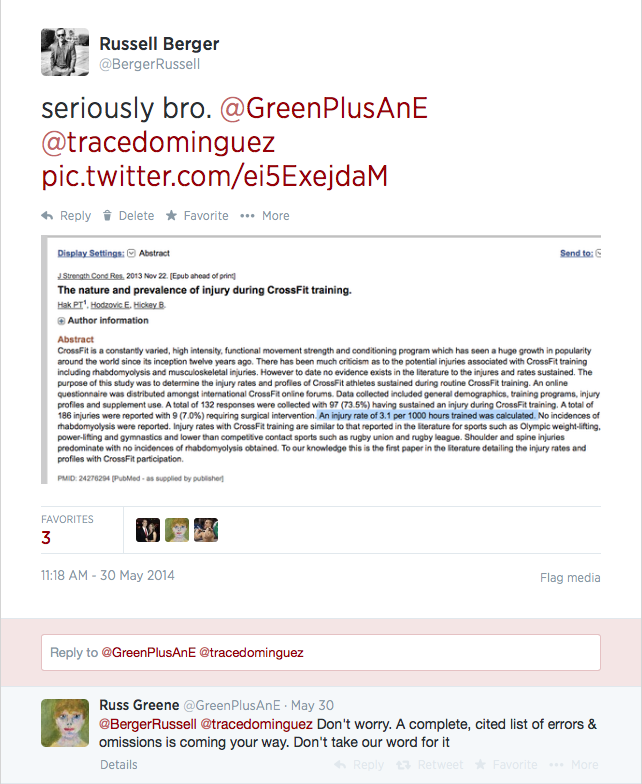 Unfortunately he confused an injury response rate with an “injury rate” and misquoted the study. 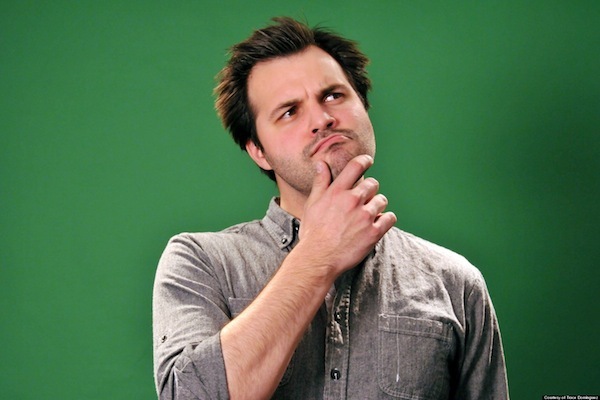 He also failed to notice the part where the study concluded that CrossFit’s injury rate appeared to be similar to general fitness training. 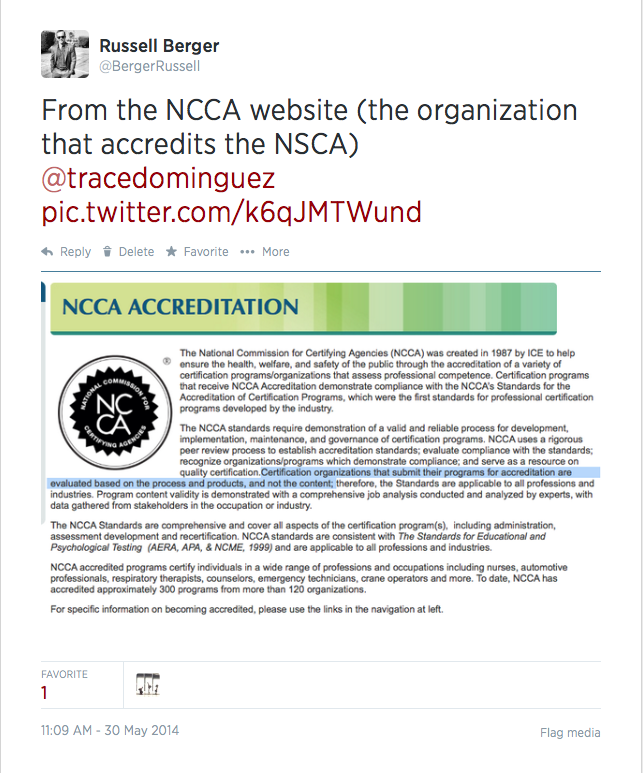 Next on the list, we pointed out that Trace’s criticism that CrossFit isn’t NSCA accredited is a little like criticizing Honda for not being recognized by Toyota. 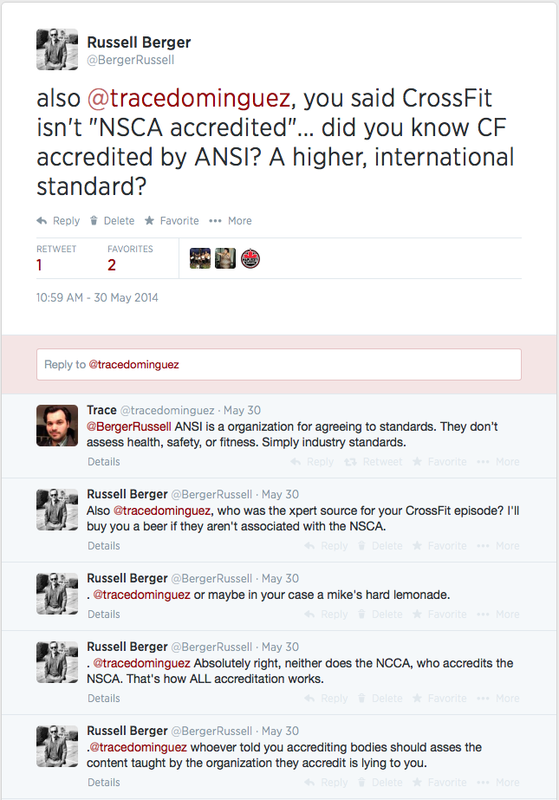 He didn’t appear to understand how accreditation works, and once we corrected him, he quietly dropped out of the discussion. 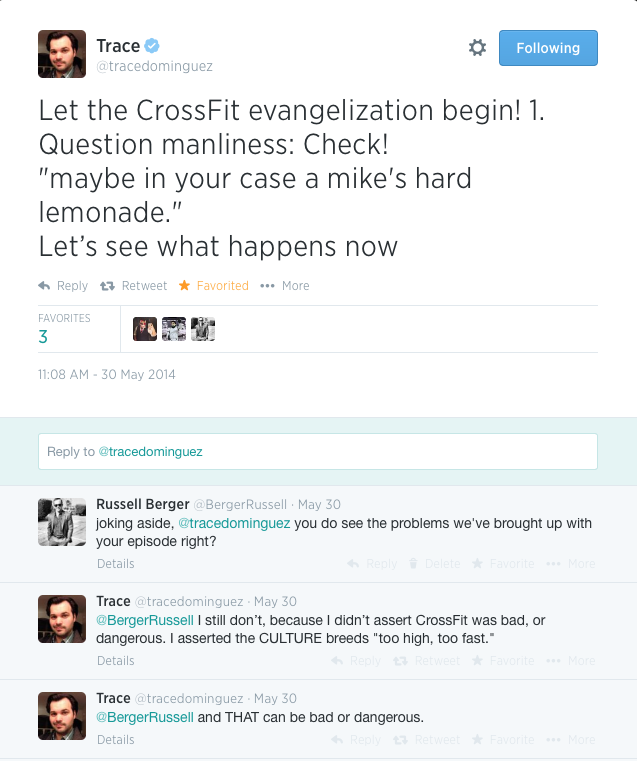 Without much left to defend, Trace abandoned his cited work and went straight for a “CrossFit is just too much” narrative. He was unable to justify or explain this position, which seems pretty bad for a show that we assumed was grounded in scientific observation. 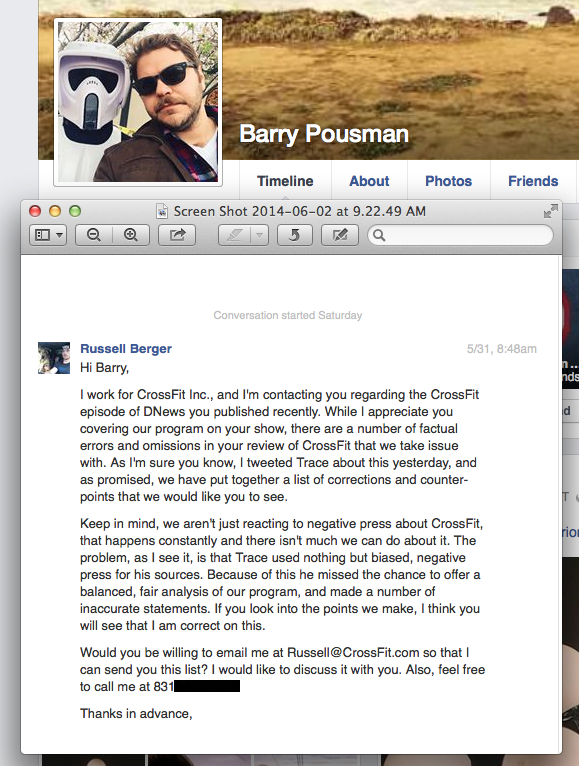 No response… So I looked for the executive producer, found him, and sent him this Facebook message.